Love the fresh flowers of springtime? Bring them inside by ordering a spring flower arrangement from Blossoms at Dailey's Flower Shop, your local Fairfield flower shop. You will love gazing at your beautiful blooms all week long. Know someone who needs a little appreciation? 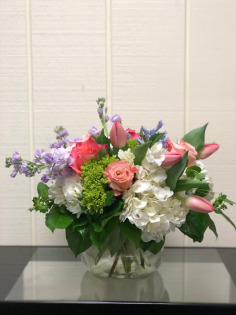 Send spring flowers to lift their spirits, no matter if they live next door or across the country, Blossoms at Dailey's Flower Shop can help! The sizzling summer sun is here to stay! Enjoy it safely inside with the addition of bright and cheery summer flowers. Send sunflowers, golden-yellow daisies, princess-pink carnations, or any other summertime favorite. You deserve a fun summer treat, and flowers are 0 calories! Need to send flowers to a friend or loved one out of town? 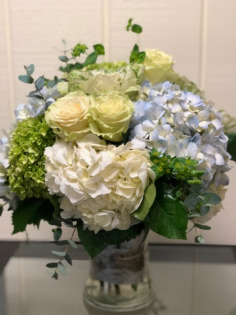 No problem, BLOSSOMS FLORAL DESIGN in Fairfield can help! 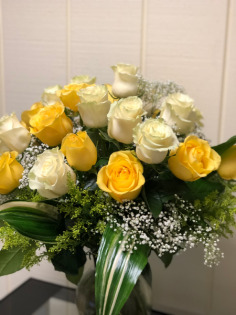 Simply stop by, give us a call or shop online, BLOSSOMS FLORAL DESIGN is glad to help! Blossoms at Dailey's Flower Shop captures the essence of the autumn harvest with their colorful fall flower arrangements. Radiant reds, rustic browns, and golden yellows are all perfect for this season. Having a party or get-together? Nothing adds more to a room than a festive fall arrangement. It's the perfect coversation starter! Whether you want to send as a gift or keep for yourself, Blossoms at Dailey's Flower Shop can help with any type of fall flower arrangement! Winter is a season of powdery-white snow, fresh cedar and pine, mistletoe and more. This heavy season's beauty is best adored indoors. Blossoms at Dailey's Flower Shop can help you order a festive arrangement of winter flowers for yourself or a deserving friend. Reds, greens, whites, golds -- all brighten even the chilliest of spaces. Winter parties are so much better with the color of winter blooms! So remember the helpful staff at Blossoms at Dailey's Flower Shop for your flowers this winter.